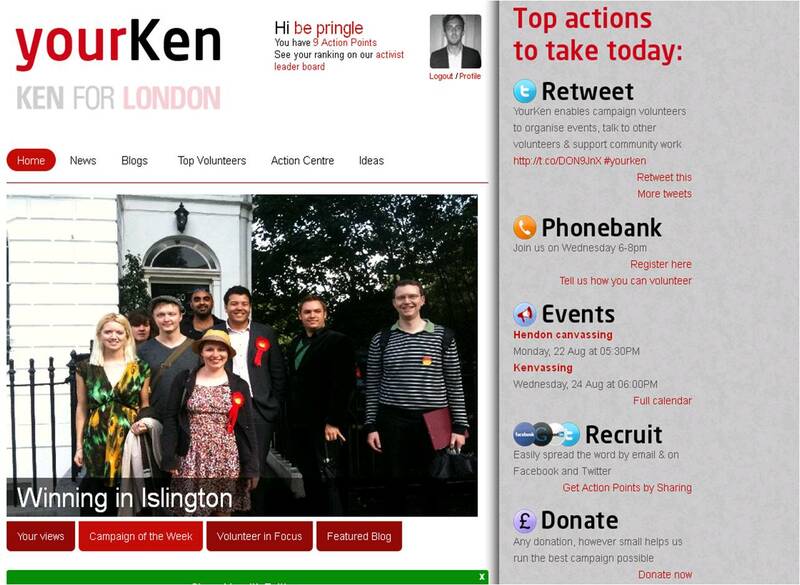 Yesterday the Ken Livingston for London Mayor campaign launched a social campaigning hub. The site is quite clearly an off-the-peg offering that in all likelihood has been used by countless candidates across the USA. Reinventing the social media campaigning wheel would be completely pointless for a team that has a tiny budget and the output would be unlikely to measure-up to the prefabricated ones from the States. Unsurprisingly, given that it has probably seen plenty of frontline political action, the site is very tight and works like a dream. The Twitter and Facebook API’s work well and it contains all the tools (donate, invite friends etc..) that you’d expect. 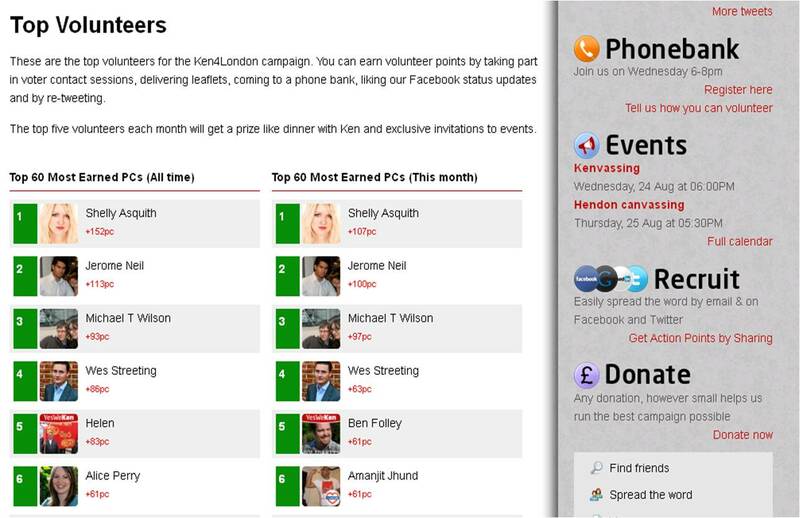 The feature that most impressed me was the activist leaderboard. You can score points by doing both on and offline activities. Presumably turning up to do some canvassing on the doorsteps of Cockfosters will earn you enough points to see you comfortably to the top of the podium. Turns out the photo of the Labour supporters used at the top of this blog was taken outside the house of the incumbent Mayor, Boris Johnson’s house. Oops.